This breed is very active and requires physical and mental stimulation on a daily basis. It is a rather small-boned dog, a female being 10-14 pounds, and a male being 12-16 pounds, but this makes it easier to exercise. It doesn’t require extremely strenuous exercise, just a consistent amount. It should never live outdoors, as it wasn’t created to be resilient to outdoor conditions. Its coat is considered a double coat, and is very long and fluffy. It requires brushing and maintenance every few days to keep from matting up, and it requires even more maintenance when it is shedding. Having a Schipperke will give you loyal and loving company. Although this breed tends to be independent at times, it loves having familiar family around. It thrives when it is occupied, as it loves to poke its head into any and everything and absolutely loves looking for an adventure. As adventurous and this breed is, it still tends to be quite timid with strangers. It makes a great house pet and is best suited for an active family. When it comes to health concerns, MPS and IIIB are the two major concerns. Minor concerns include Legg-Perthes, epilepsy, and hypothyroidism. Occasionally, this breed may carry entropion, distichiasis, PRA, and CHD. CHD, also known as Chronic Hip Dysplasia is important to get checked out if you see your dog limping or having trouble standing, walking, or getting up. It can get severe pretty quickly if not treated in a time-sensitive manner. Recommended tests for this breed include hip tests, thyroid tests, DNA for MP IIIB and it should also be tested for any other thing that it shows signs of having. If this breed is cared for correctly and is able to remain healthy throughout its day to day life and activities, it will typically lives anywhere from 13 years of age to about 15 years of age. The origin of the Schipperke is a much debated topic. One group believes that this breed’s name was coined from the Flemish word, “schip” which means boat. They believe that this dog traveled back and forth between Brussels and Antwerp. Therefore, this full name would mean little boatman. 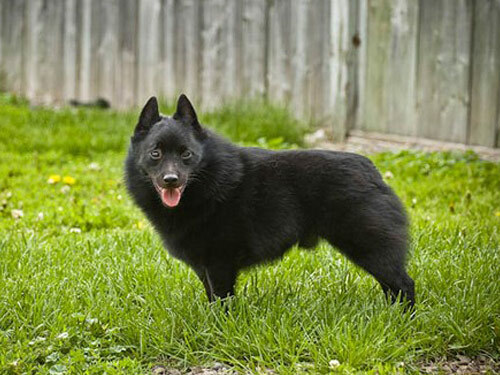 Belgian townsmen rarely referred to this breed as a Schipperke, rather, then called it a spitz. Another theory believes that the Schipperke was a tradesmen guilds that found its way into middle-class households. They would be used as a small watchdog. When compared to other breeds, it strikes the closest resemblance to a Belgian Sheepdog, so the name may also possibly be derived from the word scheper, meaning shepherd. True evidence of the breed was not found until the 1690’s. These Schipperke’s were adorned with thick, brass collars as a sign of pride. During their prime, they were the only housedog and was coined the national dog. Their numbers began to deplete and a group of Belgian fanciers tried to save the breed. Then, it arrived in America where it had a smaller, yet loyal following.